The United States admits approximately one million new immigrants annually. Of that total, only one percent — or 10,000 — enter as EB-5 investors. Of the 10,000 visas available, a minimum of 3,000 visa numbers are set aside and designated for investors in a regional center. 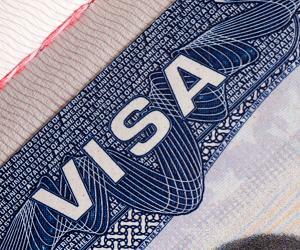 Encouragingly, while it would appear that the availability of visas is in fact limited, the EB-5 program has never suffered an oversubscription, which would create a needless backlog. To date this quota has never been reached and is available to virtually every country applicant. As such, the fact that there is no immediate concern about oversubscription still remains true. Florida immigration attorney Larry J. Behar and his team have had tremendous success obtaining permanent residency on behalf of foreign investors through the EB-5 visa program. The firm continues to provide comprehensive immigration services to foreign investors beyond the visa application process. When considering a regional center as a vehicle to residency through the EB-5 program, it is essential to monitor the monthly quota and status reports as issued by the State Department at www.state.gov. It is through this website that you will be able to determine the advantages and speed associated with the EB-5 program when compared to any other Employment Based (EB) category.